I can definitely say that you cannot go wrong with clay treatment. Clay is one of the effective ways to clean your skin, remove dirt from pores and bring you the best refreshing skin. My wish to try Ageless Derma Special Clay Masque resulted into younger, bright and clean skin. I like that Ageless Derma Special Clay Masque is not purely a clay component but balanced with other nourishing and soothing ingredients like Vitamin B5 and allantoin what bring the final combination great for all types of skins – dry, oily and combination one. Ageless Derma Special Clay Masque is based on brown clay and very efficient in getting smoother skin and cleaning dark spots. I put on the clay for about 5-10 min until clay is almost dry on my face and then wash it off with warm water. As a parent I do not have much time to go to spas and get that essential treatment for my skin. Now I can rely on Ageless Derma Special Clay Masque in terms of getting clean, smooth, and soft skin easily and at home. I found that for best results it is good to use it once a week. 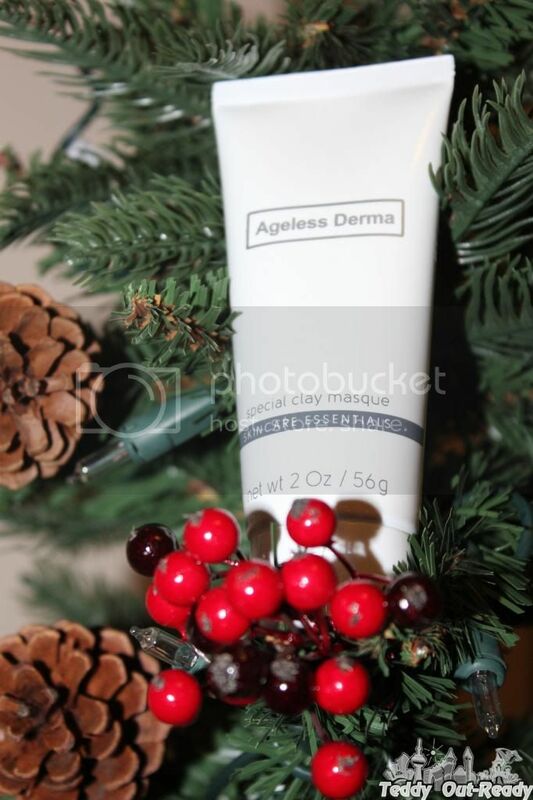 And with upcoming holiday season, parties and shows, Ageless Derma Special Clay Masque is a must-have beauty item to get a wonderful skin in around 10 minutes. Effective, easy to use and with immediate results – aren't these what busy moms are looking for in beauty products?